Making a movie like The Commuter work is tough business. 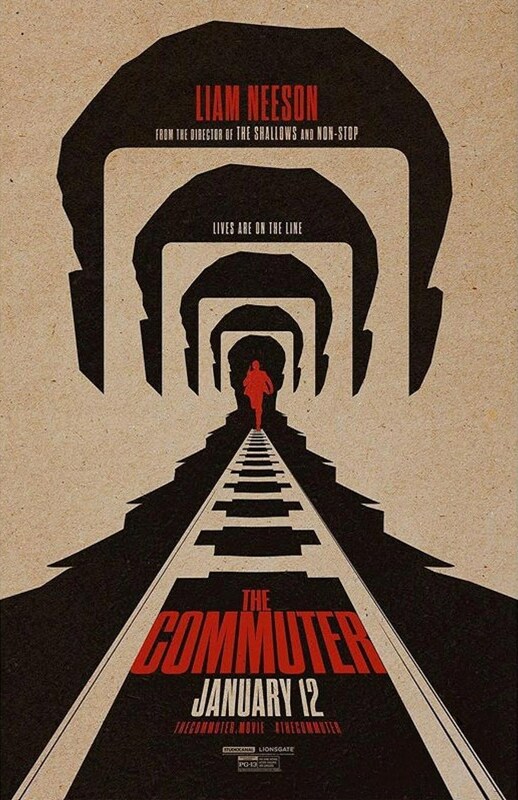 If you've seen the trailers you know there is an intriguing mystery, someone asks Liam Neeson's everyman character to find someone on the commuter train he rides everyday. Heavily implied is there are nefarious intentions behind the scheme. Curiosity peaked. What the heck is going on? Films like this can be difficult to pull off. The more "interesting" the mysterious catch 22 our hero finds himself in, the more outrageous the plot often ends up being. Making it believable, that someone would go to the trouble of setting up our everyman the way they are here, that he can accomplish what he needs to, becomes the challenge to make something Hitchcockian like this work. Unfortunately The Commuter doesn't make it. The problem arises in that the gimmicky plan the plot is based on requires a long series of incredibly timed steps, bordering on coincidences, to pull it off. There is no way a plot like this could happen in real life. And the end goal of the villains? Well that also doesn't realistically warrant the drastic lengths they go to to make it happen. I kept thinking, "why didn't they just do this and save themselves all this risk and hassle?" I guess there would be no movie, but you're asking me to suspend so much disbelief that I can't really hold onto any of the story. The Commuter's plot is not only farfetched, I might be able to get into a fun farfetched plot, but it is also hopelessly cliched. The everyman's family is held hostage, the "master" villain turns out to be just pretty much who you'd suspect if you've ever seen one of these things before. Then to generate excitement for the audience they throw in over the top action sequences which feel disconnected from the story. 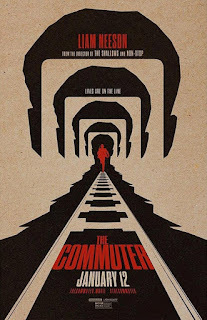 The Commuter is one of those movies that is all interesting idea and poor execution. It devolves at the end into just another excuse for Liam Neeson to do his shtick so if that's something you're really into that might be enough to make it work. I do have to give props to the film's marketing. They have the best posters.